One of my favorite styles of shirts is the button down. You can never have too many and you can style it casually or dress it up. 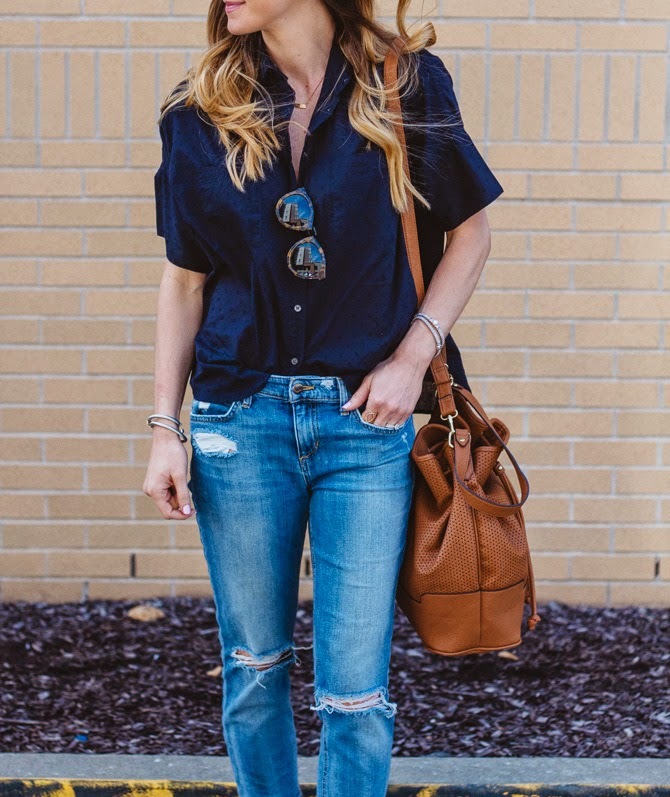 I like an oversized fit, and always tuck in the front to add some shape. 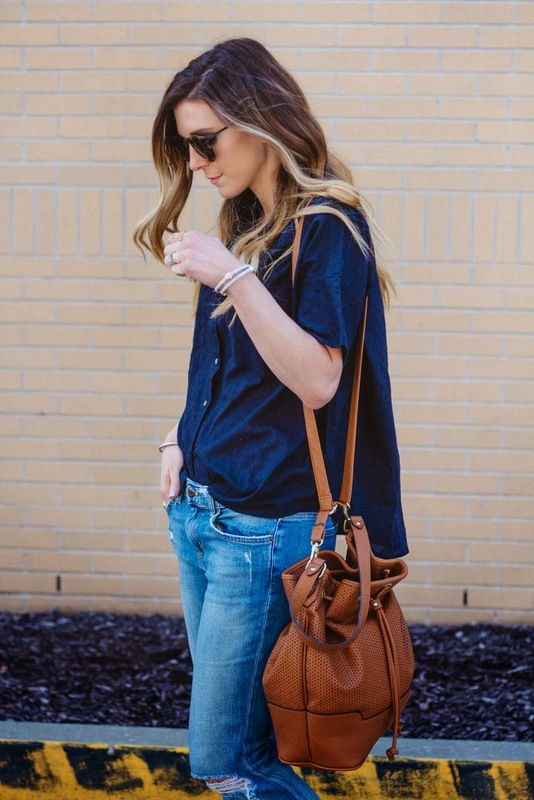 When I saw this short sleeve one at Madewell I was immediately drawn to it. I love the clip dot fabric detail. Layer in under a sweater for cooler days or pair with cut-offs this summer. 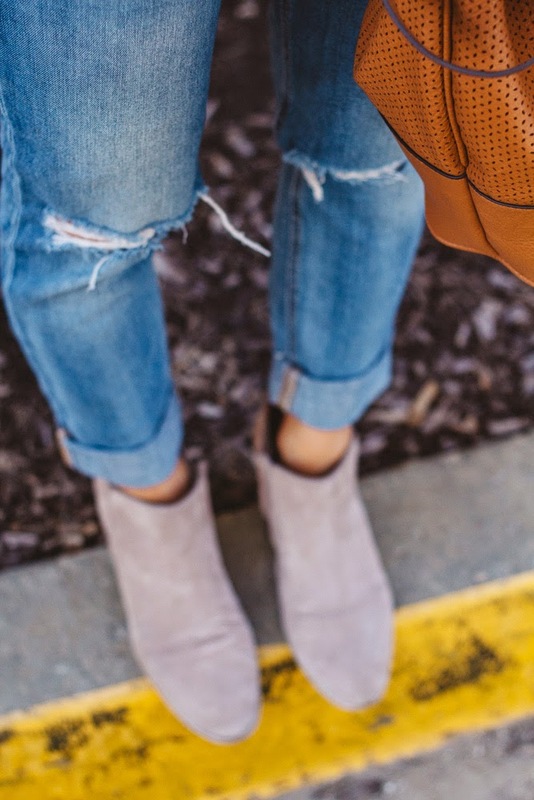 ps-my favorite booties of all time that I wear all year round, are on sale in all colors here! I love that shirt with those jeans! What a cute look! 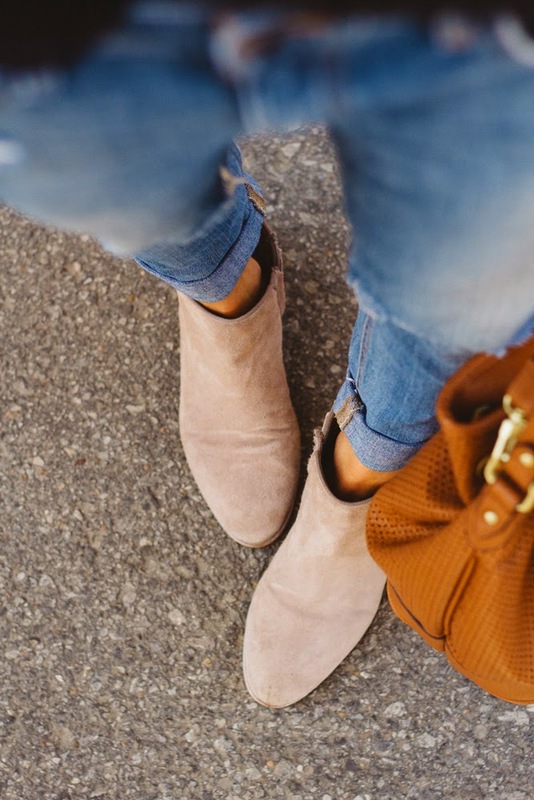 Those booties are also my favorite! They are so comfy and the color goes with everything. Love this outfit! 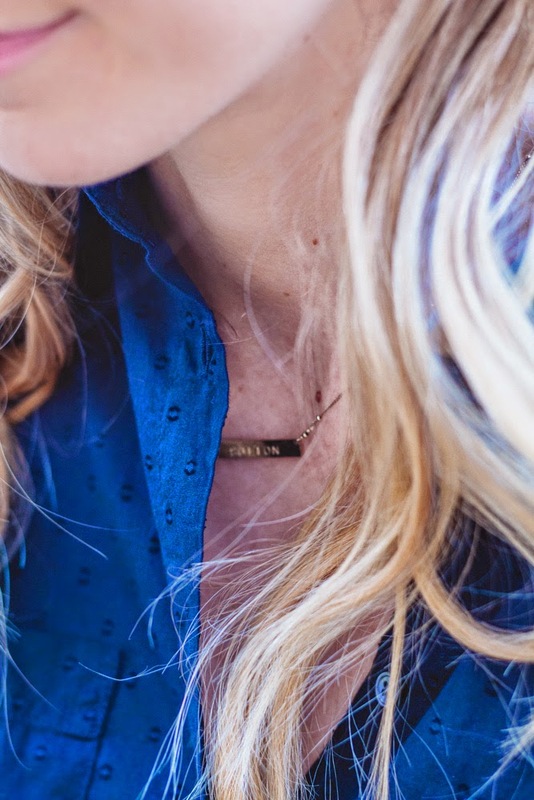 You link to necklace that only has a single initial engraved on it yet your necklace appears to have a full name on it … how did you get them to do that? i love the necklace sometimes little details make the outfit! 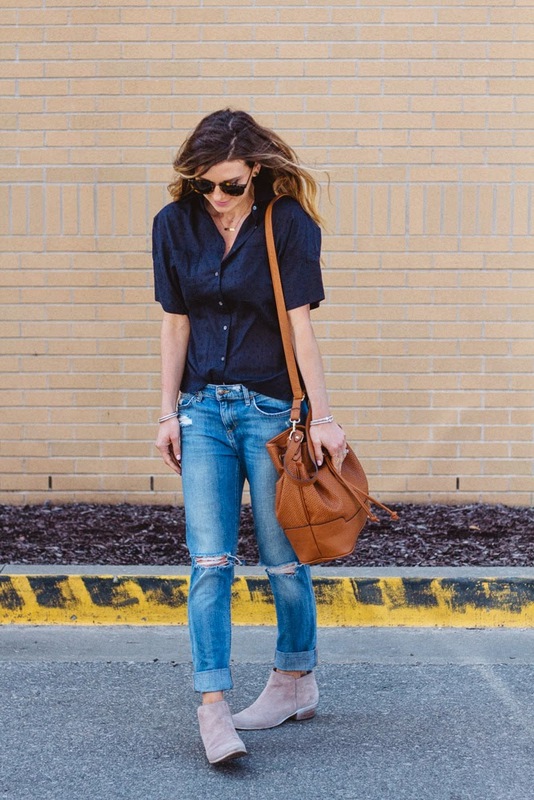 I have been obsessed with button-downs for the past year, especially when paired with jeans. Love the outfit!